Prathmesh Farms & Agro Tourism is the newest state of the art facility located 25kms south of Pune where you can relax and de-stress. Set in the center of the Sahyadri’s range and in the company of the seasonal river Shivganga, you are mesmerized with a breathtaking view every time you look for the horizon. Prathmesh Farms & Agro Tourism has cottages and bungalows to stay with family and friends. 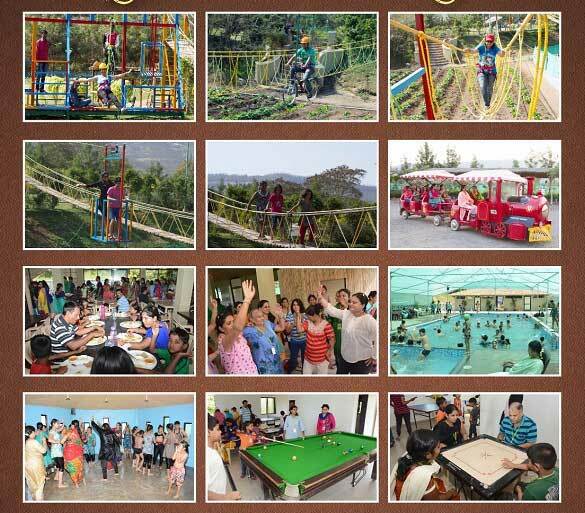 You will not miss chilled and whistling breezes, the calm and peaceful village atmosphere, rural games, bullock cart rides, fishing (upcoming), rural delicacies etc; at our premium agro-tourism facility. · Indoor games: Chess, Cards, Table Tennis, Carom etc. · Outdoor games: Badminton, Children Play area, Cricket, Ring Dish, Seas, Slider, Swings. Note: 1) Rates should be changeable as per booking. 2) Drinks are not allowed.